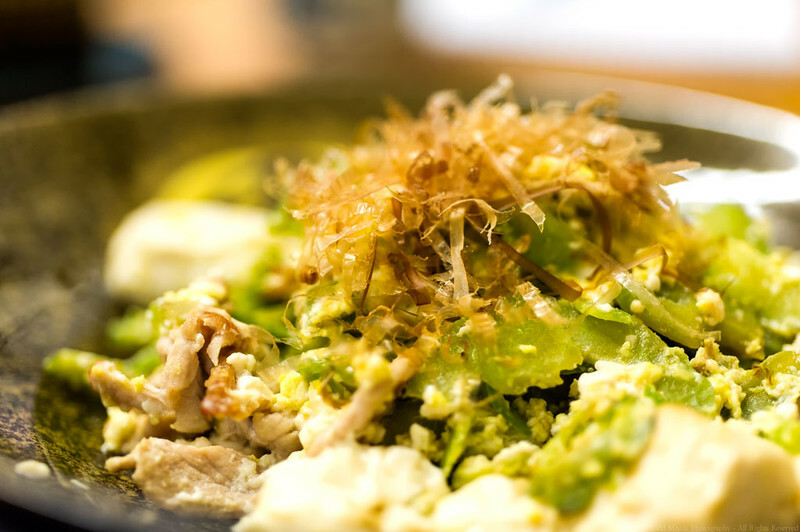 One of the "Big Three" of Hawaii Okinawan restaurants, Hide-Chan features family style cooking. Champuru or Chanpuru is considered a mainstay dish of Okinawan cuisine. It is a stir fry of tofu, egg, goya (bittermelon), and pork. You can opt for Spam instead of pork. Me, I like the pork. Photo by Todd Maeda Photography.